When you purchase a dedicated server, you are actually leasing a server box that is configured and set up according to your preferences, but remains at our data center. 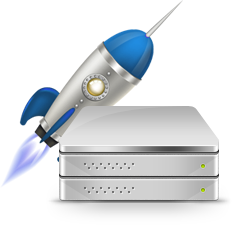 A dedicated server account provides you with a dedicated IP address and full control with admin (root) access. Dedicated servers are particularly useful for businesses who run very high traffic ecommerce sites or video/audio streaming services which need the high end performance of a dedicated machine. Our VPS hosting solutions are built on the industry leading VMware ESXi & vSphere virtualization platform. AUSWEB’s VMware VPS Hosting offers the highest level of manageability, stability and performance available for virtualized environments. A VPS is often chosen by businesses that need a customised web site hosting environment but don’t want to manage a physical server. 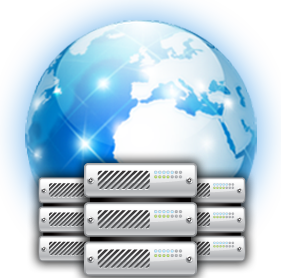 Another useful aspect of VPS technology is the ability to maintain multiple virtual servers. For example a web site owner might use one server for the production web site and the other for a test environment that can be used to test planned updates or modifications. As your web site traffic increases your server will need more resources allocated to it. With a dedicated server the hardware configuration is usually fixed in size which prevents you from adding additional CPU’s or RAM easily. With a virtual server additional resources can be added on the fly with a simple restart of the machine. All of our vCloud plans allow you add up to 8 CPU’s and 32GB of RAM within a matter of minutes. So if you are preparing large marketing campaign, or web site launch, you can be assured that sufficient resources can be allocated to the machine to prevent any outages from arising. 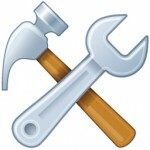 As a dedicated server is a physical machine it’s components are subject to wear and tear over the course of time. When an important part of the machine such as the hard drive stops working then your entire web site may go down. Essentially the dedicated server becomes a single point of failure as you are relying on the hardware to never fail. A virtual machine does not suffer from this issue as it has no physical components which prevents this problem from occurring in the first place. A virtual machine has no single point of failure as it resides inside a clustered server environment. The VMWare vSphere platform is comprised of a series of technologies that such as High Availability (HA), Fault Tolerance (FT), and Distributed Resource Scheduler (DRS) that allow your virtual machine to be transferred to other nodes within the cluster in the event of hardware failure or extremely high load. Imagine that your operating system became corrupted, or that your entire web site was compromised. In these situations you would need to perform a bare metal restore, a service not easily configured for a dedicated server. A virtual machine on the other hand can easily stored to it’s original state. With our Veeam Backup Recovery service any number of virtual machines in your account can be backed up over a 24×7 basis. In the event of any disaster AUSWEB can restore and start the Veeam backup on any new nodes/hosts in a short period of time. Backing up critical data is paramount for any business when down time means income lost. Whilst a dedicated server may offer a raid configuration as protection against hardware failure, and locally configured backups give you piece of mind in recovering from those small mishaps, having an extra level of backup located externally from your main server is something that is a must when you require quick recovery from severe data corruption. AUSWEB offers a range of external backup plans with a variety of storage capacities including 50GB, 100GB, 200GB or 500GB. All of these plans can be deployed within a matter of minutes and are compatible with all of our Linux and Windows VMware servers.